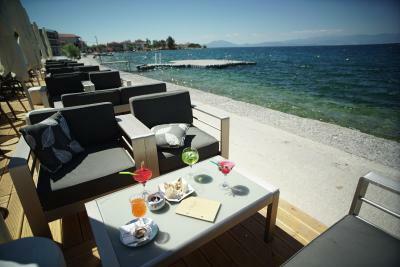 Lock in a great price for Valis Resort Hotel – rated 8 by recent guests! Amazing breakfast. 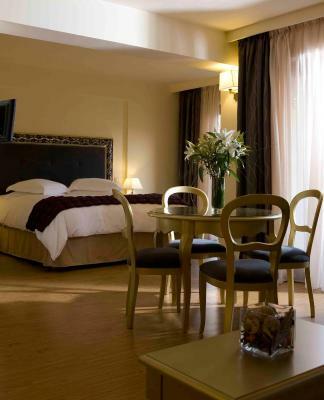 Comfortable rooms. Very central for getting around Pelion (and thankfully the other side of Volos). Staff were very helpful with some work I needed assistance with. They gave us view to the sea instead of the begining which the view was to the mountain. Second time I stayed at this hotel. Great view to the beach. 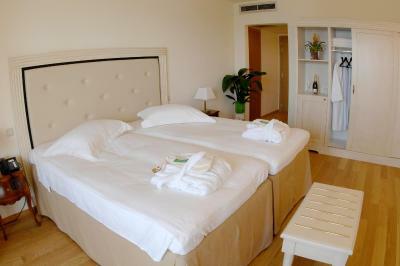 Comfortable bed and spacious room. Most comfortable bed in Greece. Great view to the sea. 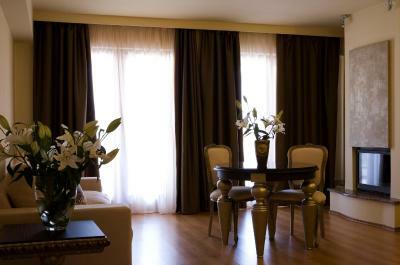 Best area, big rooms(git a free upgrade), good food and clean rooms. 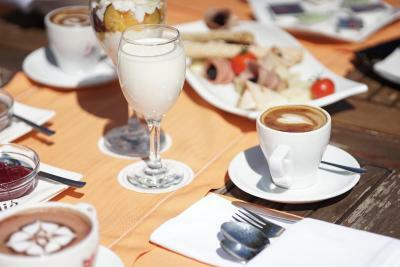 Very good and versatile breakfast. Nice and large pool. Sea shore area at the front was nice and hotel extends services to the shore. Also poolside very well served. All kind of activities available at the hotel also for the youth. 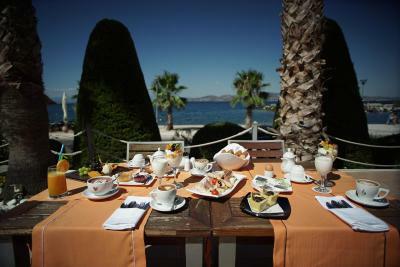 There is also a spa with different kind of health services for the adults. Friendly and helpful personnel. 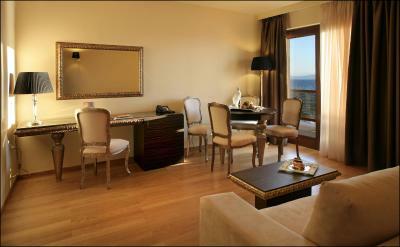 Hotel has good service oriented attitude, we were upgraded to be able to offer a room with seaview, which was very nice. Lovely hotel. It was comfortable and in good condition. 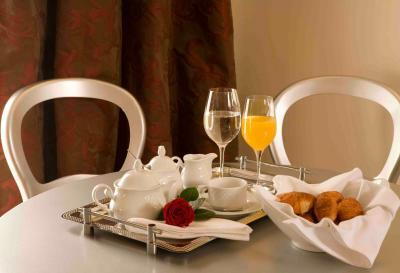 The staff were friendly and breakfast was very enjoyable. Great value for the price. 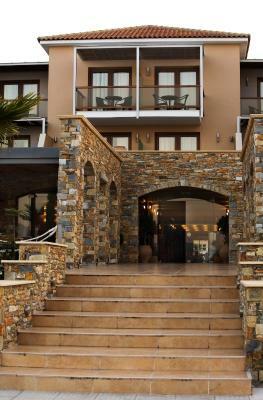 Valis Resort Hotel This rating is a reflection of how the property compares to the industry standard when it comes to price, facilities and services available. It's based on a self-evaluation by the property. Use this rating to help choose your stay! 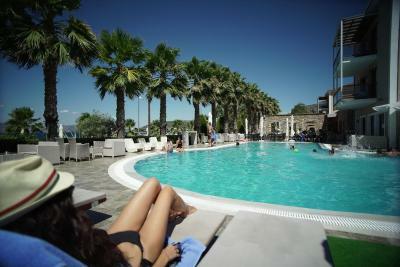 One of our top picks in Volos.Valis Resort Hotel is just 2.5 mi. from the town of Volos and offers a fitness center, indoor and outdoor pool, floating platform for swimming, pool bar, bar by the sea and 4 restaurants. 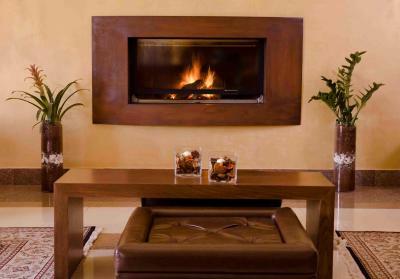 It is a children friendly hotel, with experienced educators, kids cinema and play room with toys for older children. 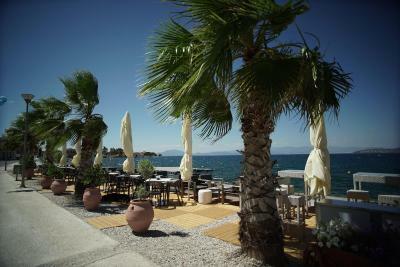 Most of the elegant rooms and suites at Valis Resort Hotel enjoy view of Pagasitikos Gulf. Free WiFi is available throughout. Free private parking is possible on site. 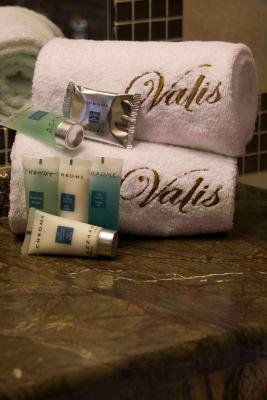 Valis spa center offers a lot of popular types of body massages. It also offers total therapies based on old Thailand practices, integrated facial and body treatments, sauna, steam room and gym. 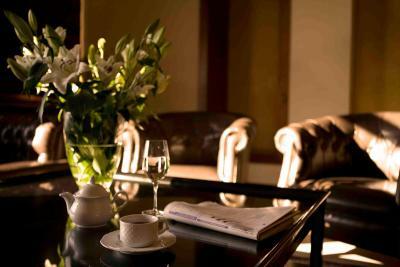 The hotel organizes succesfully business meetings, conferences, corporate and social events. It has several conference rooms but the Valis Grand Ballroom, is the largest and fully equipped conference area at Magnesia. 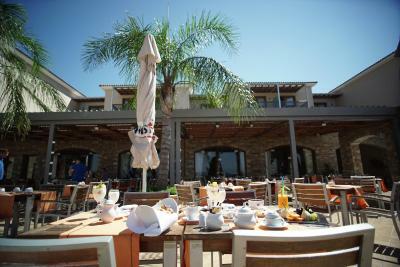 Valis Resort offers Greek gastronomy, certificated Greek breakfast and American buffet breakfast. 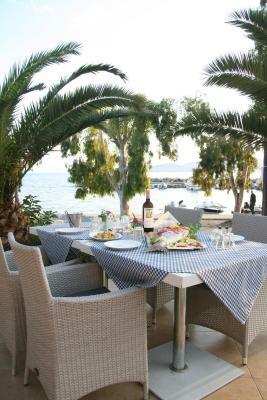 You can taste local greek “tsipouro” at the traditional Tsipouradiko by the sea with gastronomy sea food or enjoy Mediterranean cuisine at Agraia restaurant. Alternatively, you can use the one of the two private restaurants, on demand. 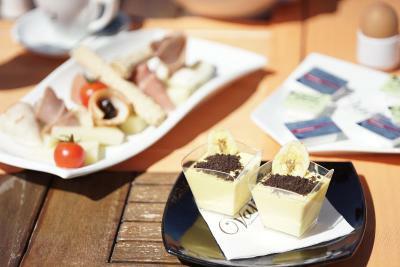 The poolside bar offers cocktails, drinks, cold coffees and delicious snacks. Agria area is very beautiful with great beaches around and a lot of monasteries. 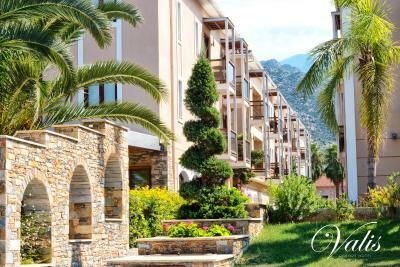 Valis Resort Hotel is built on the seafront and it is the perfect base for visiting the famous beaches and the picturesque villages of Pelion mountain. 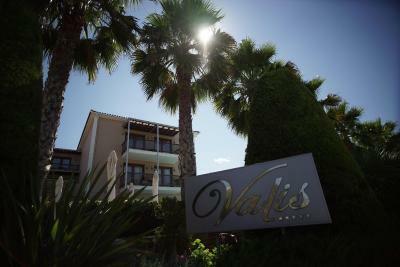 When would you like to stay at Valis Resort Hotel? 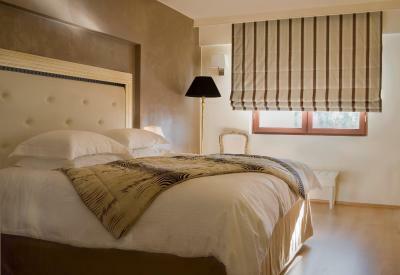 Fitted with Cocomat bedding, this room offers direct view of the Pelion Mountain. It is located on the first or second floor. 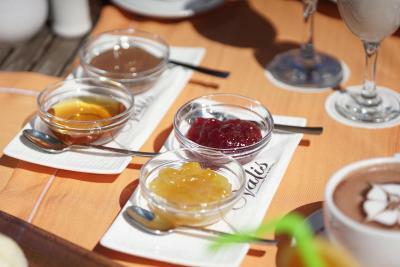 Please note that Valis Resort Hotel serves Greek Breakfast certified by the Hellenic Chamber of Hotels. 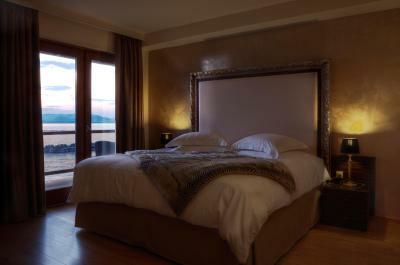 Fitted with Cocomat bedding, this room offers a view of the Pagasetic Gulf from its balcony. It is located on the first or second floor. 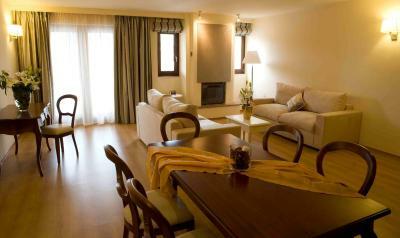 Spacious rooms with capacity to accomodate 2 adults and 2 children or 3 adults. Junior suites have a balcony with sea or mountain view. Valis suites with the two-room suite of 174 ft², giving their own interpretation of the classic and signing a discreet splendor. The suite allows natural light to spread throughout space and leads to a lovely terrace either cooled by the breeze of Pagasitikos or enchanted by the mountain of Centaurs. With an excess of luxury and comfort in a space of 141 ft², this suite features lovely Italian style in décor and modern amenities. Cocomat products are provided. 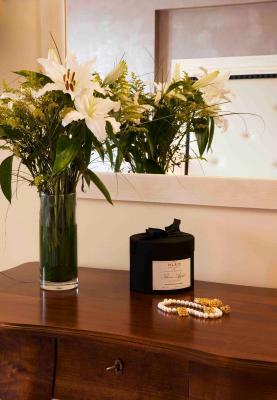 Opening to a furnished balcony, this air-conditioned room is a meticulously designed space that incorporates a minimal design with earthy tones. 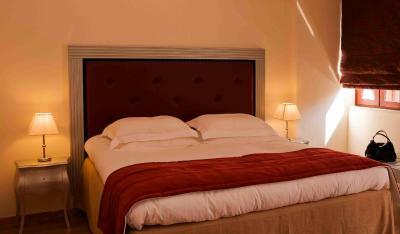 It features all modern facilities including LED TV, mini bar, safe and safety door. Free WiFi is provided. This 2-bedroom suite offers a spacious balcony with Pagasetic Gulf view, fireplace and bathroom with bathtub and shower with hydro-massage. 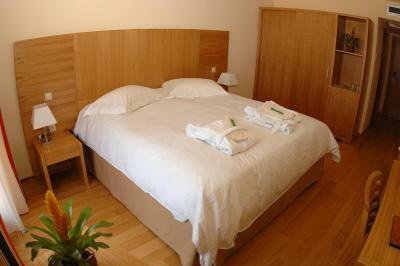 Free toiletries, hairdryer, bathrobe and slippers are also included in the bathroom facilities. Free Wi-Fi and a welcome gift is offered. 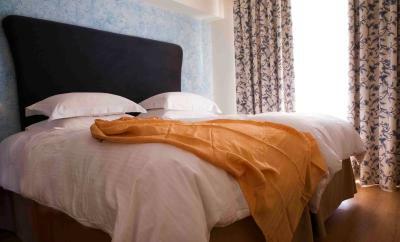 This meticulously designed room is equipped with a twin or a double comfortable bed, and a carefully designed bathroom. Free WiFi is provided. 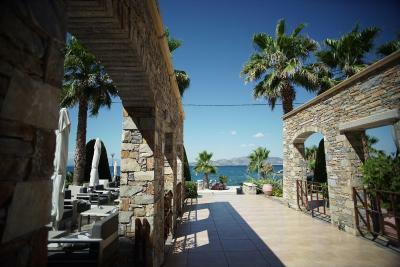 The biggest 5* hotel in Magnesia with 105 rooms facilities for disabled available. 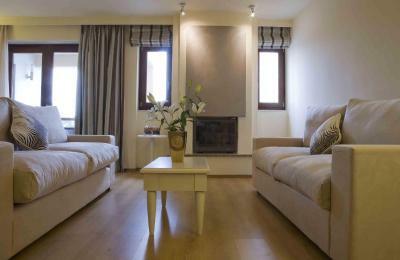 spacious family rooms ideal for families of 2 adults and 2 children. 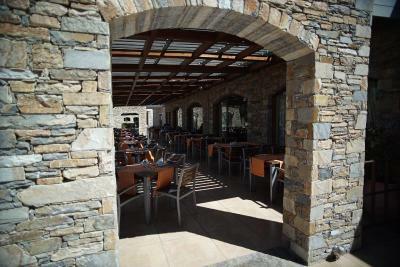 the best surroundings and close to the city of Volos! 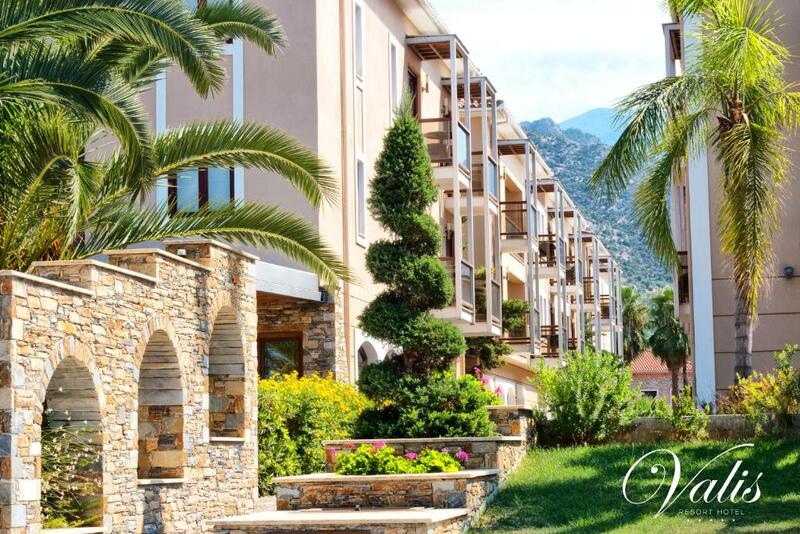 House Rules Valis Resort Hotel takes special requests – add in the next step! 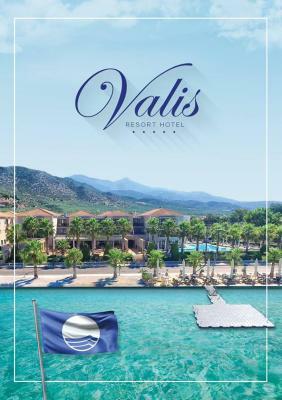 Valis Resort Hotel accepts these cards and reserves the right to temporarily hold an amount prior to arrival. Great view, very comfortable room! This isn't really a business hotel. And it doesn't really have the most user friendly indoor pool/sauna either. I asked after the business centre for printing etc. and really there is just a computer in the bar area. You have to ask the staff to print things. Which is fine, but I had booked this place in particular so I could work independently and this wasn't possible. I also booked this place because of the spa and was a bit disappointed. 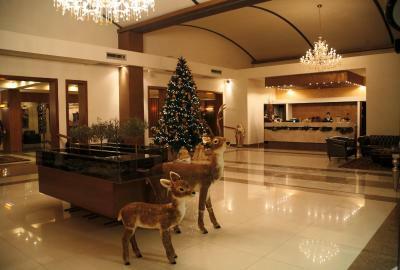 It was Christmas so the hotel was swarming with families. The walls are thin. The regular family noise was not relaxing and the spa was empty. The pool is just a little relaxation pool and the sauna had to be turned on when I showed up. None of this was a big deal, but it just didn't really meet my expectations of having a resort hotel to relax at the pool/sauna and get some work done in the business centre. Service at the pool bar and tables next to road was too slow. It is not a top spot where I would like to stay a week-long holiday, but nice for a short stay. The lighting in the corridors was very dark, as well as the room had only a few light sources with very dark shades. There was a lot of urchins at the sea shore and the shore is rocky. The pontoon pier offered a good way to go to swim but only for older children and adults. 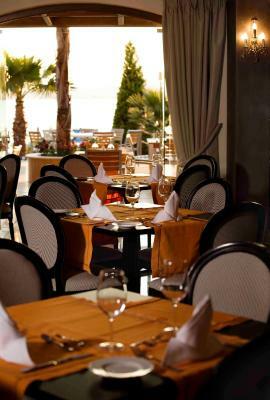 The hotel is located a bit aside in a small village area with a limited variety of restaurants. I thought the 10.30 time limit for breakfast was cutting it short. It another hour would have been better. The carpeting in the hallway needed a severe professional cleaning or change..The pool was small considering the size of the hotel. Felt it was for the kids to use only.